EuroSciCon invites you to join the 10th Edition of International Conference on Mass Spectrometry during February 26-27, 2020, Dubai,UAE. We warmly request all the participants who are interested in sharing their knowledge in “Current Trends in Mass Spectrometry, Chromatography, HPLC and Proteomics”. Mass spectrometry is instrumental tool used in recognizing the mass of the molecules and molecular building blocks. The conference welcomes all the Eminent leaders and Professors of chemistry to share their research work and experiences, we are open for all the scientists from all over the globe with their new findings. We encourage young researchers, students to participate and share their ideas in the conference. We are also honor to welcome Directors, Vice President, Head of technology from industries, R&D Chemist, Life Sciences Specialist, and Exhibitors are also welcoming to exhibit their projects and products. Mass Spectrometry is important Chemical analysis method. Mass Spectrometry is a various application in the field of chemistry and pharmaceutics. In pharmaceutical Industry and drug analysis and Mass Spectrometry development is more. Molecular mass of a compound is important in determination of Character of a compound. In treatment of cancer mass spectrometry paly a important role. SimGlycan is software which use for evaluation for Mass spectrometry. Mass spectrometry is a powerful analytical technique with a of different applications in biology, chemistry, and physics. It uses for evaluation of protein sequence, cell structure, Analysis of Glycans, Lipids, Proteins and Peptides, Oligonucleotides, organic chemistry, polymer chemistry, evaluation of structure, it has application in disease characterization and biomarker investigations, examination of ionic-molecular interactions, determination of the abundance of isotopes in nature and in atomic reactions, determination of the atomic masses of stable and radioactive isotopes, examination of surfaces and modification of surfaces, ion implantation, Geology and Cosmology, especially age determination, Examination of the upper atmosphere and space research. Spectroscopy is technique of the interaction between matter and electromagnetic radiation. Different type of spectroscopy is there X Ray photoelectron spectroscopy, Infrared absorption spectroscopy, Ultraviolet and visible absorption spectroscopy, Nuclear magnetic resonance spectroscopy, Raman spectroscopy. Spectroscopy in Biomedical Sciences uses in astronomy, Sensitivity and selectivity. Chromatography technique of separating the chemical substances into its individual components. Various type of chromatography is there Column chromatography, Ion-exchange chromatography, Affinity chromatography, Paper chromatography, Thin-layer chromatography, Gas chromatography. In Chemical industry chromatography is an important technique has lot of application. Chromatography has lot of application in food industry, Forensic Science, Molecular Biology Studies, Polymer Synthesis, Bioinformatics. Proteomics is the large-scale study of proteins and proteomes.Proteins are vital parts of functional living organisms, Proteomics refers to the large-scale experimental protein purification and mass spectrometry analysis.Proteomic technologies is use for identiï¬cation and quantiï¬cation of overall proteins present content of a cell, tissue or an organism.Mass spectrometry with LC–MS-MS and MALDI-TOF/TOF being widely used equipment is the central among current proteomics.Proteomics is also useful in disease diagnosis, gene function, chromatography, electrophoresis, Quantitative techniques, crystallography, Bioinformatics analysis. Analytical Chemistry is the science of obtaining, processing, and communicating information about the composition and structure of matter. Analytical Chemistry studies and uses instruments and methods used to separate, identify, and quantify matter. In practice separation, identification or quantification may constitute the entire analysis or be combined with another method. Separation isolates analytes. Qualitative Analysis identifies analytes, while Quantitative Analysis determines the numerical amount or concentration. Analytical chemistry consists of classical, wet chemical methods and modern, instrumental methods. Classical qualitative methods use separations such as precipitation, extraction and distillation. Identification may be based on differences in color, odor, melting point, boiling point, radioactivity or reactivity. Classical quantitative analysis uses mass or volume changes to quantify amount. Instrumental methods may be used to separate samples using Electrophoresis or field flow fractionation. Then Qualitative and Quantitative analysis can be performed, often with the same instrument and may use light interaction, heat interaction, electric fields or magnetic fields . Often the same instrument can separate, identify and quantify an analyte. 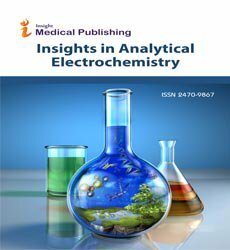 Analytical chemistry is also focused on improvements in experimental design, chemo metrics, and the creation of new measurement tools. Analytical chemistry has broad applications to forensics, medicine, science and engineering. Capillary electrophoresis analysis of peptide/proteins. Capillary is a small tube which place between two buffer reservoirs after that electric field applied separation depend on electrophoretic mobility and electro osmosis. It uses for purity and structural confirmation to a micro preparative technique, Hemoglobin electrophoresis, DNA sequencing, analysis of polymorphism, Forensic application. CE-MS combines advantages of both CE and MS to provide high separation efficiency and molecular mass information in a single analysis. Produce ions from the sample in the ionization source Separate these ions according to their mass-to-charge ratio in the mass analyzer Eventually, fragment the selected ions and analyze the fragments in a second analyzer Detect the ions emerging from the last analyzer and measure their abundance with the detector that converts the ions into electrical signals Process the signals from the detector that are transmitted to the computer and control the instrument using feedback. Mass Spectrometry is a powerful method in pharmaceutical industry. 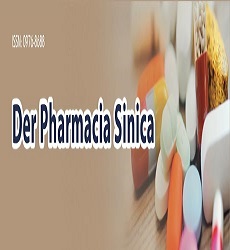 Pharmaceutical industry they discovers the drug and develops, produces for use as medications. Mass Spectrometry is drug analysis method. By analysis the method we check the strong ness of the drug. Mass Spectrometry is a various application in drug metabolism, Pharmacokinetics and Pharmacody, preclinical and clinical development. Tandem Mass Spectrometry involves many stages to break down selected into fragments. There are different type tandem mass spectrometers are there triple stage quadrupoles, quadrupole/time-of-flight, quadrupole-linear ion trap hybrid instruments, time-of-flight-time-of-flight. It uses in Peptides sequencing, Oligosaccharides sequencing, glycolipids sequencing. Organic Chemistry is a brunch of chemistry related with structure properties, and reactions of organic compound and materials. Mass Spectrometry is use of analysis molecular mass of higher energy organic compound. Mass Spectrometry is use to determine the stature of natural product, organic compound, which is helpful in chemical reaction. Now a days Mass Spectrometry is use in evolution of elements composition, determine the mass of the compound. In clinical diagnosis it uses for disease screening, diagnosis of disease and metabolic disorders, identifying drug toxicity and poisoning, monitoring of drug therapy, discovering new biomarkers. traditional clinical analysis systems, medicaments. Quantitative Excellence for Assays. Environmental Analysis is referring the part of chemistry which is related with environment. The process examines all the internal or external components, which has an influence on the performance of the organization. The steps involved in environmental analysis identifying, Scanning, Analyzing, Forecasting. Mass Spectrometry is a technical platform for analysis of environmental chemicals. It helps in several ways Protect Human Health by Detecting Environmental Contaminants, Persistent Organic Pollutants, Emerging Contaminants, From Emerging to Emerged. Protein Mass Spectrometry is related with identification of protein. There are two method of ionization of electrospray ionization and matrix assistant laser desorption. Protein synthesis is important in human life. Protein molecule are work as catalyze in biochemical reactions. Hormones are a kind of protein that make connection between cell to cell and regulated the body function. Mass Spectrometry help to protein synthesis. That has lot of function in human body. Imaging Mass Spectrometry is a technology that combines most advanced analytical techniques for the analysis of biological molecules with spatial fidelity. An effective approach for imaging biological specimens in this way utilizes Matrix-Assisted Laser Desorption Ionization Mass Spectrometry. The mass-to-charge ratio of the ions are measured using a Mass Spectrometer over an ordered array of ablated spots. Imaging Mass spectrum Analysis (IMS) encompasses a spread of techniques that change the chemical imaging of analytes from atoms and little molecules to intact proteins directly from biological tissues. Imaging Mass Spectrometry is remodeling specific areas in research project with its distinctive combination of chemical and biological information. Innovations in instrumentation and imaging protocols can create this approach at several stages of the drug discovery method, as well as medical target screening and evaluating the distribution of drug and drug metabolites in cells and tissues. The study of communication between particles and electromagnetic radiation where the involvement of scattering, absorption, reflection or transmission of materials take place. The intensity of interaction connections in these materials gives the data about the physical properties of the substances. This track deals with various spectroscopy techniques which act as a basic analysis before separation. Mass Spectrometry in Forensic Analysis is a technology provides a powerful tool for Forensic studies. For forensic researchers investigating their samples for unknown compounds, drug metabolites, chemicals or hazards, novel psychoactive substances that have never been previously detected or characterized. The role of Mass Spectroscopy in forensic science may be characterized as either molecular or elemental analysis. comparatively little volatile nonionic molecules found in a very sort of forensic samples may be analyzed with electron and chemical ionization of single-stage mass analyzers that give relative molecular mass and structural data. Non-polar and polar molecules and their metabolites habitually found in biological matrices along with alternative analytes of forensic interest may be determined by using Electrospray. In Mass Spectrometry analysis many ionization techniques are there mainly electron impact (EI) and Fast Atom Bombardment (FAB). Now-a-days it not used to much but environmental analysis it is used in checking the atmospheric pressure. In environmental analysis it has lot of application. 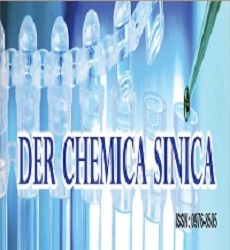 It also used in Qualitative and quantitative applications, check the purity of the sample, evaluation of organic and inorganic biological molecule, determination of mass of peptides, protein. Mass Spectrometry in medicine is the most important area to study for the development of medicines. Mass Spectrometry is an analytic technique widely used many laboratories for the development of laboratory medicine. Various types of Mass Spectrometers are used in order to get improvements in assay performance that is occurring rapidly in areas such as toxicology, endocrinology, and biochemical genetics. Mass Spectrometry is a diagnostic system with high specificity and developing vicinity in research facility prescription. Different sorts of Mass Spectrometers are being utilized as a part of an expanding number of clinical research facilities all around the globe. Mass Spectrometry has contributed altogether to the development of restorative science in early decades, especially in connection to medication advancement, in-vitro diagnostics, dietary and natural drug. Pharmacokinetics is branch of pharmacology which studies how an organism can effect a drug. it is to determine the fate of substances administer to living organism. The substance includes any chemical xenobiotic, pharmaceutical drugs, pesticides, food additives, cosmetics. It has various compartments and the model is LADME. Mass spectrometry helps in high accuracy measurements which requires a small amount of sample of molecules by their mass-to-charge ratio. It is structural proteomics techniques. Mass spectrometry-coupled methods can provide information about conformation and dynamics of substances. It is the combination of modifications, identifications, molecular biology analysis and other techniques can be involved in the experimentation techniques. The 9th Edition of International Conference on Mass Spectrometry was held on March 04-05, 2019 in Berlin, Germany with the presence of professional researchers, scientists involved in the development of high-quality education & research in all aspects. Mass Spectrometry 2019 witnessed an amalgamation of peerless speakers who enlightened the crowd with their knowledge and confabulated on various topics related to the field of Mass Spectrometry. The highly exalted conference hosted by EuroSciCon was marked with the attendance of renowned and brilliant researchers, business delegates and talented student communities representing more than 20 countries around the world. The conference has tried grounding every aspect related to Mass Spectrometry, covering all the possible research areas. The conference aimed a parallel rail with theme “Current Trends in Mass Spectrometry, Chromatography, HPLC and Proteomics”. The meeting engrossed a vicinity of cognizant discussions on New Advances and Development in Mass Spectrometry, Mass Spectrometry Applications, Mass Spectrometry Applications in Pharmaceutical Industry, Spectroscopy, Mass Spectrometry Applications in Clinical Diagnostics, Capillary Electrophoresis, Chromatography, Tandem Mass Spectrometry, Maas Spectrometry in Environmental Analysis, Protein Mass Spectrometry, Ionization Techniques Mass Spectrometry, Mass Spectrometry Instrumentation, Forensic Analysis, Mass Spectrometry in Medicine, Imaging Mass Spectrometry, Analytical Chemistry. The two days event implanted a firm relation of upcoming strategies in the field of Mass Spectrometry with the scientific community. The conceptual and applicable knowledge shared, will also foster organizational collaborations to nurture scientific accelerations. We are thankful to all our speakers for encouraging and supporting us to conduct the conference and catapulting the same to pinnacle of success. The Organizing Committee would like to thank the moderator: Petra Perner, Institute of Computer Vision and Applied Computer Sciences, Germany for his valuable contribution which resulted in smooth functioning of the conference. EuroSciCon is prerogative to thank the Organizing Committee Members, Keynote speakers and Chairs on transcribing the plenary sessions and workshop in a diversified and variegate manner to make this conference an enviable artefact. EuroSciCon also express our sincere thanks to all the media partners for the promotion of our event to glory. 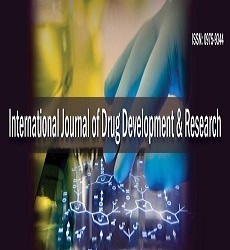 Mass Spectrometry 2019 would not have reached the pinnacle if not with the support of International, multi-professional steering committee and coordination of Archives in International Journal of Drug Development and Research, Der Chemica Sinica and Der Pharmacia Sinica. With the grand success of Mass Spectrometry 2019, we are glad to announce our next upcoming conference “10th Edition of International Conference on Mass Spectrometry” which is going to be held in Dubai, UAE during February 26-27, 2020. Hoping to meet you again coming year at Dubai!!! Mass Spectrometry is an analytical technique used to determine and identify quantities within a sample and the traces of components at minute concentrations of the compound. Spectrometry in global market was valued at $4,598 million in 2016, and is estimated to reach at $7,922 million by 2023, registering a CAGR of 8.0% from 2017 to 2023. It allows scientists and researchers to comprehensively catalogue revealing samples in a single analysis. In this process, initially the sample is ionized by loss of an electron and the ions are categorized and divided based on their charge and mass which are measured by using a computer. Mass spectrometry provides increased sensitivity over other analytical processes due to reduced background intrusion and superior specification and characteristic fragmentation techniques to detect the unknown compounds. In addition it can also detect existence of compound and data regarding molecular weight of the compound and chemical data determined for a short term. Mass Spectrometry market is divided based on technology application and geography. Based on technology it is divided into hybrid mass spectrometry and single mass spectrometry Hybrid mass spectrometry is further categorized into triple quadrapole, quadrapole TOF, and Fourier transform mass spectrometry (FTMS) whereas the Single mass spectrometry is further segmented into ion trap, quadrapole, and time-of-flight (TOF). Based on the application segment includes pharmaceutical, biotechnology, industrial chemistry, environmental testing, food & beverage testing, and other applications. Geographically, the market is analyzed across North America, Europe, Asia-Pacific, and LAMEA. The market is expected to witness moderate growth during the forecast period, owing to technological advancement in mass spectrometry and increase in private funding and government grants for R&D in mass spectrometry. Stringent guidelines for food products have been set in food & beverage industry by regulating authorities which includes the Food and Drug Administration. The advantages of mass spectrometry over other analytical technique are expected to increases the market growth. North America countered as the highest share in the market in 2016 and is expected to maintain its dominance throughout period. 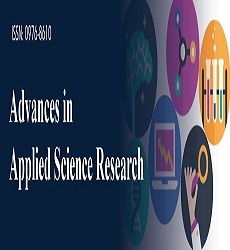 International Nanoscience Conferences, Nanotechnology Conferences & Advanced Materials Conferences, November 24-25, 2019 Cape Town, South Africa; International Science Technology Conferences and Management Conferences, December 24-25, 2019 Cape Town, South Africa; International Mechanical Conferences and Aerospace Conferences, December 24-25, 2019 Cape Town, South Africa; International Environment Conferences and Natural Science Conferences, December 24-25, 2019 Cape Town, South Africa; International Science Conferences, Technology Conferences, Engineering Conferences and Management Conferences, January 24-25, 2019 Cape Town, South Africa, International Pharma Conferences and Food Conferences, January 24-25, 2019 Cape Town, South Africa.